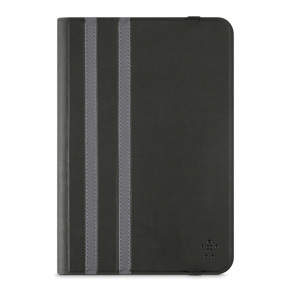 Twin Stripe Folio for iPad mini 4, iPad mini 3, iPad mini 2 and iPad mini is rated 1.0 out of 5 by 1. 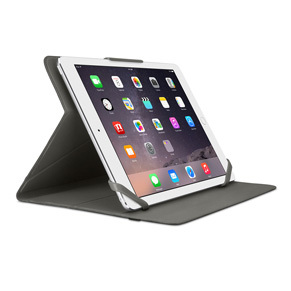 Retractable corners mold to the shape of your tablet for an incredibly tailored fit, providing greater protection and a secure non-slip hold in all viewing angles. A velvety smooth inner lining keeps your screen safe and cushioned. 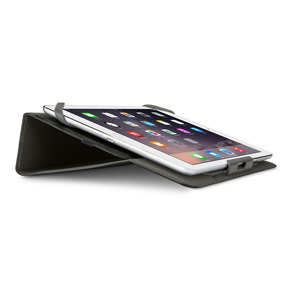 This cover also serves as a convenient tablet stand with two angles. Place your tablet at an upright angle for watching movies or playing games, or tilt it back for increased comfort while typing. The integrated elastic strap keeps the front cover closed when you're on the go. 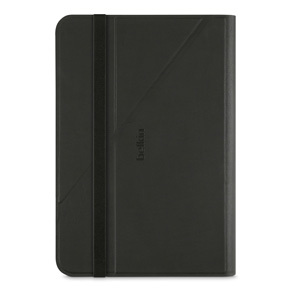 The same strap can be used to hold the cover back and out of the way when the tablet's in use. The cover conveniently folds behind your tablet for handheld mode, which is ideal for reading, watching movies, or playing games. Rated 1 out of 5 by Matti from Product might be good, but..... I cannot return it. 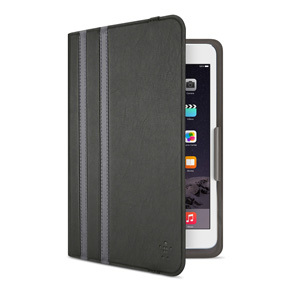 The product is for iPad Mini and I need it for a regular iPad!